Many people don’t know the difference between blinds and shutters, and the difference is simply a matter of preference. Interior window coverings can both enhance the beauty and functionality of your living space, making them a great home improvement choice. It can get complicated once the window coverings are to be chosen. Blinds: Blinds can get somewhat confused with shutters, but they are actually quite different. A typical window blind is made with slats of fabric, wood, plastic or metal, which adjust by rotating from an open position to a closed position by allowing the slats to overlap. The easiest way to distinguish a blind from a shutter is to look for strings. Blinds use strings to rotate the blade and pull the blind up or down, whereas shutters have panels that swing open on hinges much like a door. They can be just as decorative as a shutter and come in a variety of different materials and styles, and are a more cost-effective option than shutters. Blinds are the perfect choice for budget friendly remodels, but will not last as long as shutters. Shutters: Interior shutters usually hinge on either side of a window opening, and swing inward to allow access to the window or to allow light to enter a room. 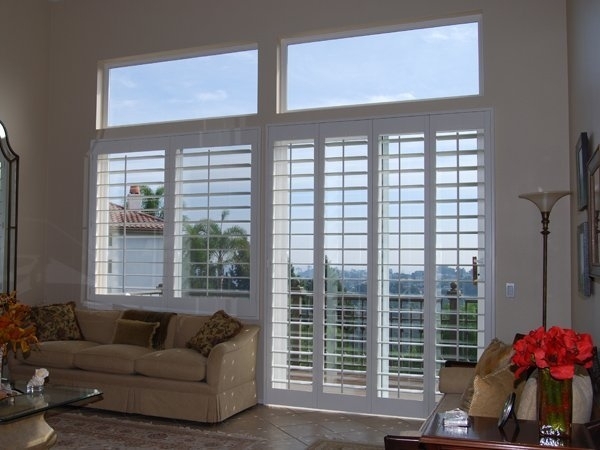 Operable louvered shutters have louvers, or slats, that rotate open or closed to control light, visibility and airflow. There are a number of different shutter types, materials and styles available, all designed to add a heightened level of architectural sophistication and attractiveness to the home. In general, shutters are more durable than drapes or blinds, and offer the best light and temperature control, as well. Shutters are an investment that will last for many years to come and also add value to the property. Are you thinking about giving your interior windows a new look, but not sure where to start? We’re happy to help!